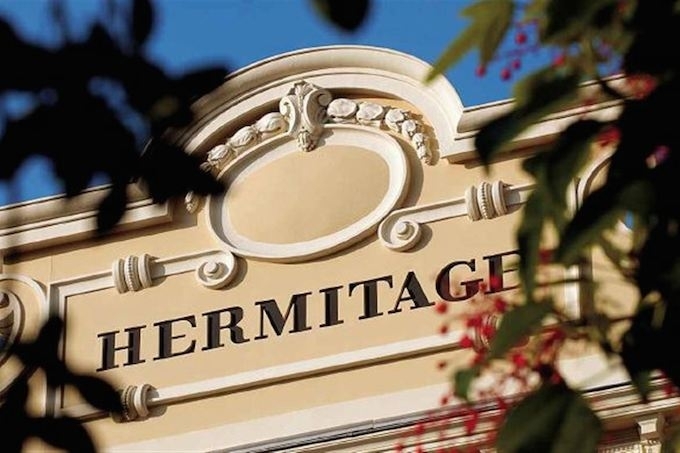 The beautiful Hôtel Hermitage in Monte-Carlo is hosting a billion dollar exhibition of jewelry and timepieces by Jacob & Co.
Now Monaco itself is no stranger to exquisite jewelry and timepieces, but this outstanding and unique collection might just be a first for the principality. The moment you walk into the grand Salle Belle Époque ballroom of the historic Hôtel Hermitage you know you are in for a special treat. The magnificent jewels glitter from every corner of the room, each piece it seems has their own top-notch security team and rightfully so. On closer inspection of the jewelry you are left mesmerized, the depth and clarity of such pieces are outstanding; it’s as though they truly have a life of their own. Attention to detail in the design and craftsmanship reflects in such a way that every piece certainly garners heirloom value for generations to come. Founder and Chairman of Jacob & Co., Jacob Arabo, has for over 25 years captured the heart of many with his high-end jewelry and newly launched fine jewelry collection, with his famous timepieces appearing to be collector’s items by those in the know. Jacob & Co.’s headquarters are at the landmark location of 57th Street and Park Avenue in Manhattan with the company’s watchmaking atelier in the very heart of horology in Geneva, Switzerland. Jewels such as these spark your imagination, you get caught up in them, they are certainly conversation starters and have such depth to the quality of work are intrigued to learn more. If you happen to be in Monte-Carlo from now until August 23rd you can visit the exhibit in the Hôtel Hermitage from the hours of 5pm-11pm daily. If you want to experience what the ultimate in a luxury brand is all about then you must make a visit. Lead image © Visit Monaco: all other images courtesy and © Jacob & Co.